Finding themselves on the Ood-Sphere planet in the 42nd century, The Doctor and Donna discover the truth over the Ood's willingness to serve humankind. UNIT's newest recruit Martha Jones enlists The Doctor's help to investigate kid genius Luke Rattigan and his ATMOS system that is used in every car on Earth. 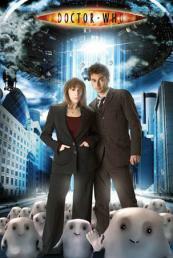 With planet Earth choking under the poison sky, the Doctor must stop the Sontarans' threat to the planet. Caught in the middle of a war between the Humans and the Hath in the planet Messaline, the Doctor finds himself once again a father. With a 1920s dinner party turning into a murder mystery, The Doctor and Donna meet Agatha Christie on the eve of her publicized disappearance. What would happen if Donna never met the Doctor? 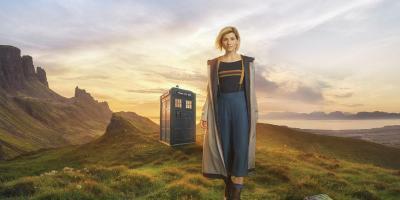 How would Earth handle the Racnoss, the falling Titanic or the Sontarans? Aided by a familiar blonde time traveler, Donna corrects the alternate time line from happening. The return of an old enemy leaves Earth along with 26 other planets stolen from their places. As the Doctor and Donna look for the whereabouts of Earth, former companions of the Doctor assemble a resistance against the new Dalek Empire. In the wake of Davros' threat to destroy the existence of the Universe itself, the Doctor's companions unite to stop the Dalek empire. Which one will die by the prophecies and what will the fate be for the Doctor?